In the summer of 2012, in Oxnard California, a young man begins his first summer as a high school graduate. The night of his graduation party his creepy neighbor is mysteriously murdered. Jesse, the new graduate, and his older best friend, Hector, decide to investigate the apartment where the murder occurred. The morning after their investigation Jessie awakens to find a curious bite mark on his arm. From that point forward he finds that he has several new “gifts” that he and Hector exploit and document on their video camera. It isn’t long before Jesse discovers that his gifts are not gifts at all, but something far more dangerous. This installment in the Paranormal Activity franchise of movies is not really a sequel, or even prequel, to the rest of the movies. The story that is told is that of a different family and set of circumstances from the rest of the films in this franchise. Even though it is not a true sequel, or prequel, it can’t really stand on its own either. The story that takes place is clearly related to and connected to the other films in the Paranormal Activity chain. The movie is filmed in the same “lost footage” style of movies as the other PA movies but is also different in several other key areas. The writers were not afraid to embrace comedy in this movie. The lives of 18 year olds with no jobs and even less direction in life can lead to many interactions that we will find funny. This is very true of the characters of Jesse and Hector. The two often find themselves in situations where their awkwardness or immaturity plays out in some funny ways. Jesse trying to hook up with Penelope is a good scene depicting how ill prepared these guys are for life and how funny this movie can be. Once the story turns the corner into the realm of demons and witches, the funny moments stop, IMMEDIATELY. When it becomes clear that Jesse’s gifts are not something he really wants, the scares start to pile up and the imagery grows darker. In one scene it becomes very clear that all is not well with Jesse when he is seen playing a very twisted game with his pet Chihuahua, “Chavo”. Another scene that provides a good scare occurs when Grandma tries to cleanse Jesse of whatever “spirits” have him. That scene also uses some good special effects to draw you in for the payoff scare. Although I enjoyed this movie immensely, there were a few things that really got to me with the story-telling. The camera battery is obviously the secret to perpetual energy and should probably be investigated by the government for uses in other areas. Other issues revolve around the half-assed way the police investigated the murder of the creepy neighbor. When Jesse and Hector are in the apartment walking around being typical teenagers, there is pertinent evidence all over the place. The Oxnard Police Homicide Division has obviously never seen an episode of CSI or Law and Order. Overall, I truly enjoyed this movie and am now even more excited to see the next installment of the franchise that is due out in October. 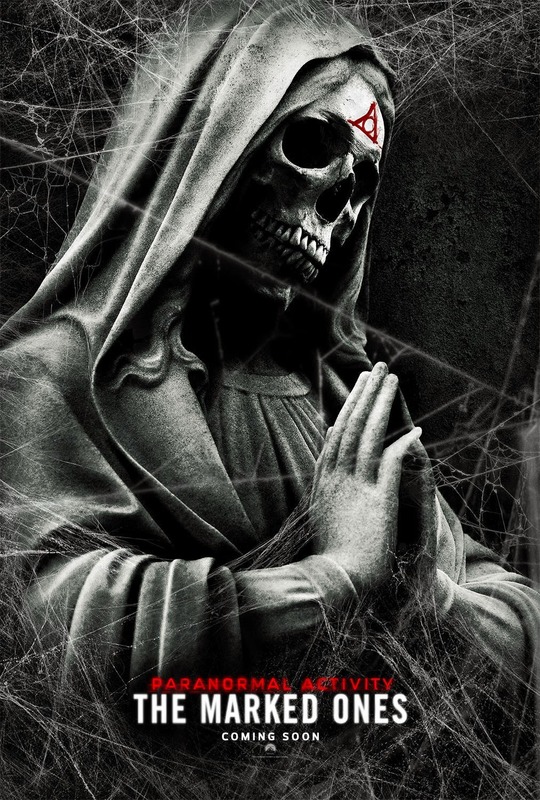 If you like a good scare and like a cool story, then Paranormal Activity: The Marked Ones is one you should check out. 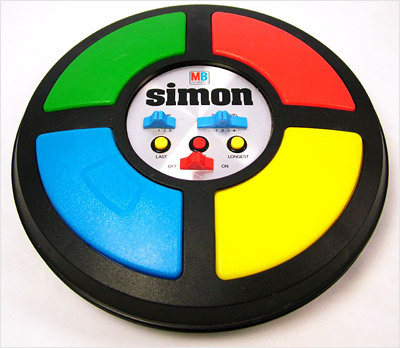 By the way… If you have this game in your house…. You won’t after watching this movie….